Avery Hall Investments and co-developer OTL Enterprises are forging ahead with the development of pair of understated five-story condominium buildings at 161-163 Columbia Street in Cobble Hill‘s Columbia Street Waterfront District. The team picked up the lots in 2014 through a unique deal with the nonprofit Carroll Gardens Association where proceeds of the sale would be used to preserve below-market rate rents for 28 units on the street and possibly develop 70 more affordable units in nearby Red Hook. 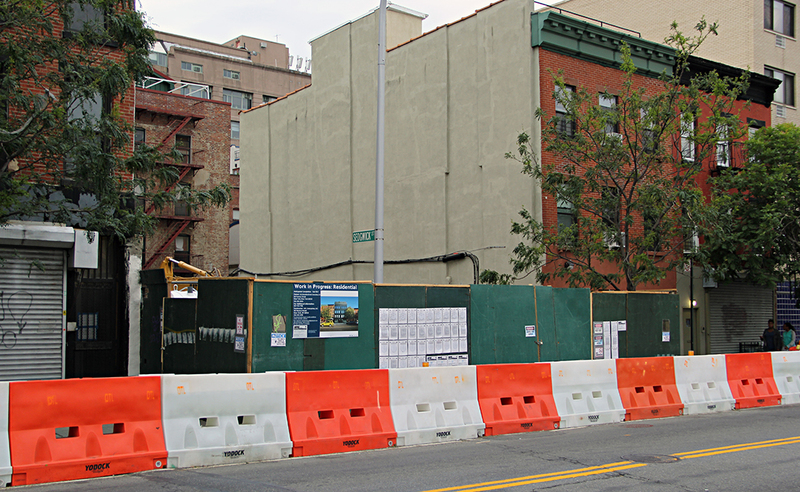 Demolition of a three-story walk-up at 161 Columbia Street was recently completed, and construction of the future 15,000- square-foot development will be in full swing this summer. 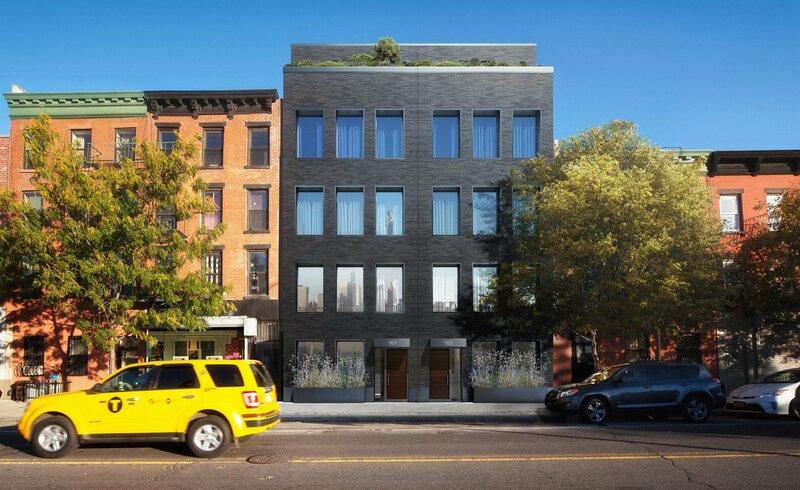 Penned by Brooklyn-based Bricolage Design Associates, the project’s street-facing elevation will sport a solemn exterior coarsed with dark Roman brick that is uniformly punctuated by single pane rectangular windows. In each of the buildings, floors one through three will house one floor-through residence each. Atop both structures will be private terraces and a fifth-level penthouse setback 15 feet from the street wall that will house the upper levels of two duplex units. With a sprawling, mostly vacant waterfront parcel across Columbia Street, “all residences will enjoy unimpeded views of the New York Harbor and Lower Manhattan” according to Avery Hall’s page on the development. Construction is expected to be completed by mid-2017. View future listings for 161-163 Columbia Street at CityRealty.